Here we go — the 18 best lunches of 2018! I love a patty melt. My kids love a patty melt. And judging by your enthusiasm, you love a patty melt, too. 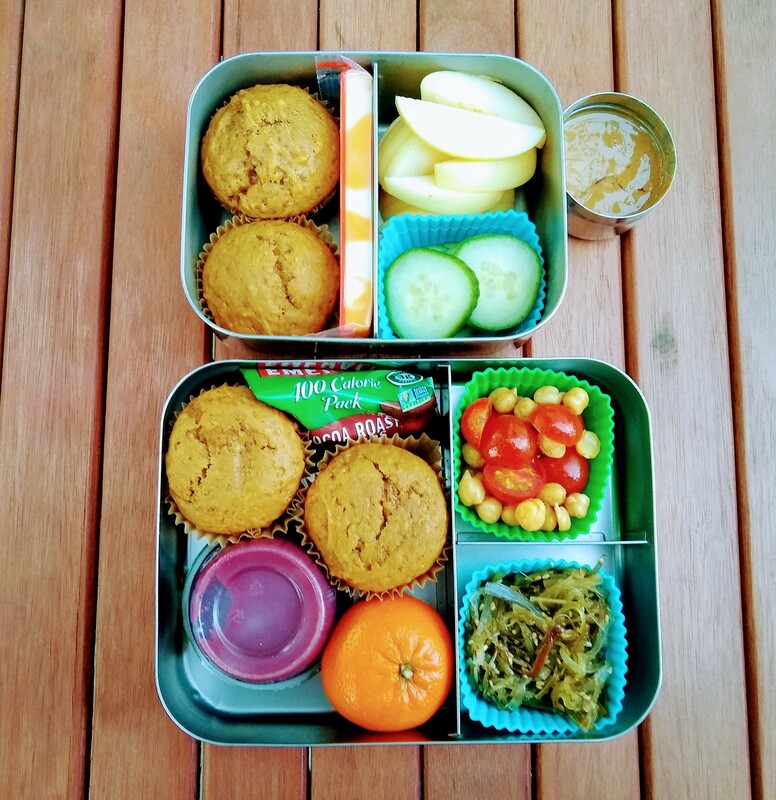 On this particular day, I decided — partly out of desperation — that whole wheat pumpkin muffins are TOTALLY lunch, and you got on board with me. Thanks for the validation. 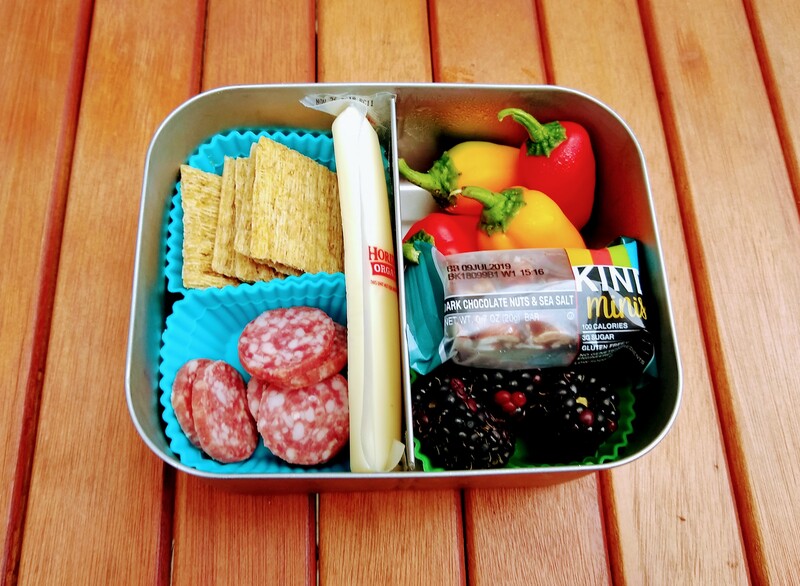 Pizza for lunch gets a little love from you, but when I put the dough in muffin tins and wrap it up like a fancy little package, suddenly it’s a fan favorite. 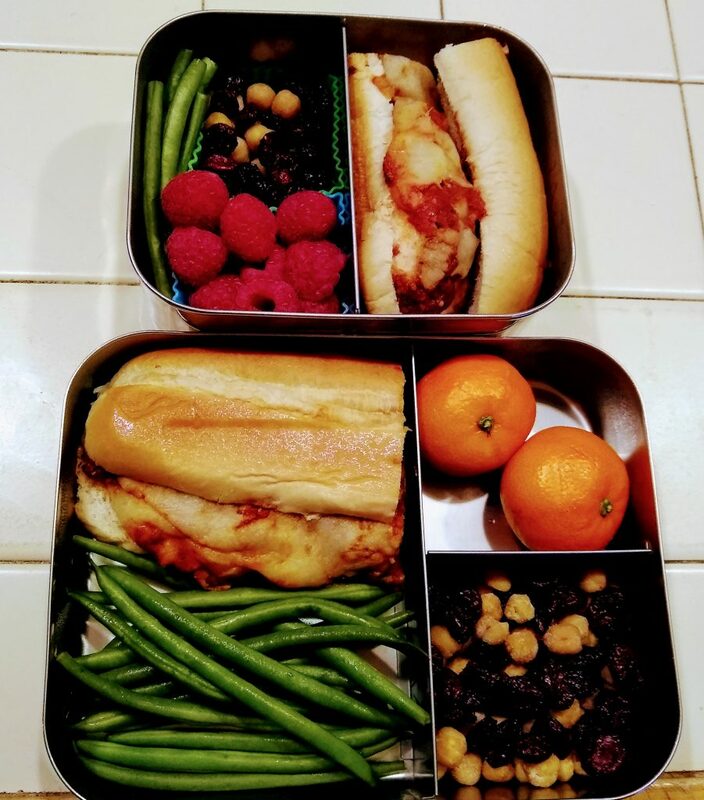 I get it: Pizza muffins are super cute, and the ants on a log alongside just make this lunch look like something you want to eat immediately, if not sooner. Sheet pancakes are one of those ideas that just seems to blow people’s minds. Making sheet pancakes into a peanut butter sandwich and packing them for lunch got an enthusiastic “Heck yeah” from you in 2018. I think this is a great lunch. I’m just not entirely sure whether you agree, or you’re just here for the cookies. Leftover chicken parmigiana stuffed into sub rolls really needs no explanation, right? 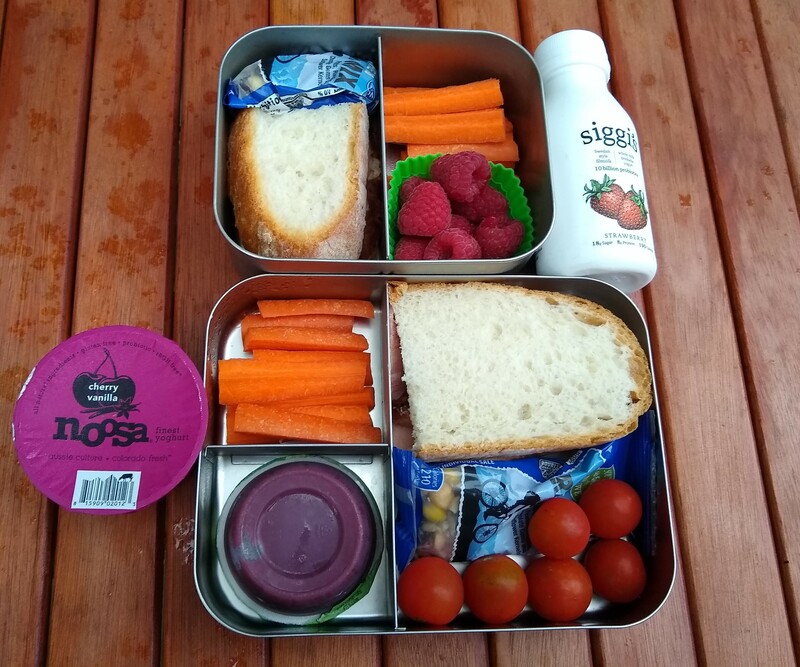 Packed on a day when my 6th-grader would be at school from 7:30 a.m. until 8:30 p.m. and needed to bring both lunch and dinner, this post got lots of appreciation from the crowd. I don’t know if you were liking the baby kale Caesar salads with assorted chopped meats and cheeses, the thermos full of Trader Joe’s potstickers and edamame, or the fact that I was able to pull together a whole day’s worth of food for a hungry middle school boy, but this one was a winner in your books. 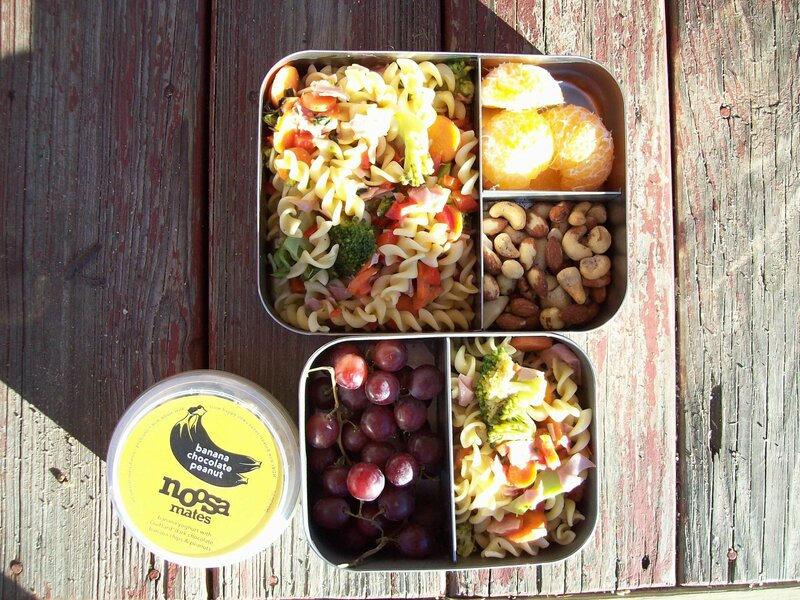 Leftover pasta plus whatever I had in the fridge made for these throw-together lunches, and you liked them. You really liked them. 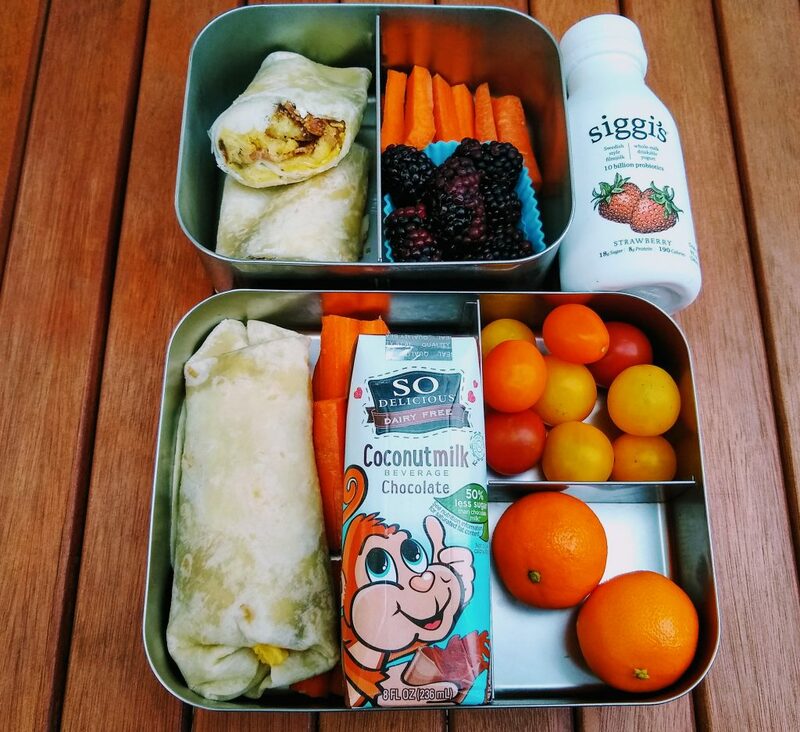 I think you liked this lunch for two reasons: 1) Breakfast burritos — I mean, come on; and 2) I was totally honest about the fact that I had lunch-packing panic that day, until I remembered these burritos were in the freezer. 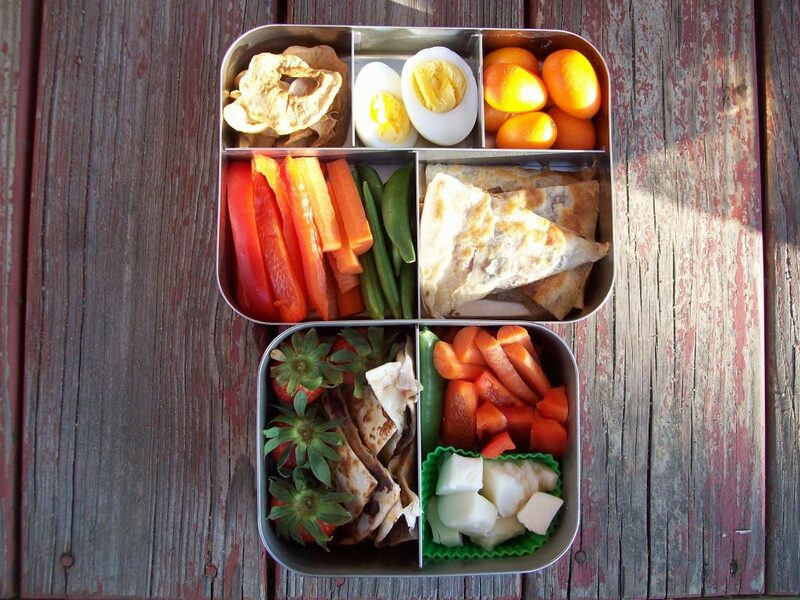 Everybody likes to know that even the food blogger sometimes runs out of lunch-packing steam. We all like a new sandwich idea, and this one — soft-boiled egg mixed with crumbled bacon, no need for dressing because the creamy yolks did all the work — got your attention. It got mine, too. 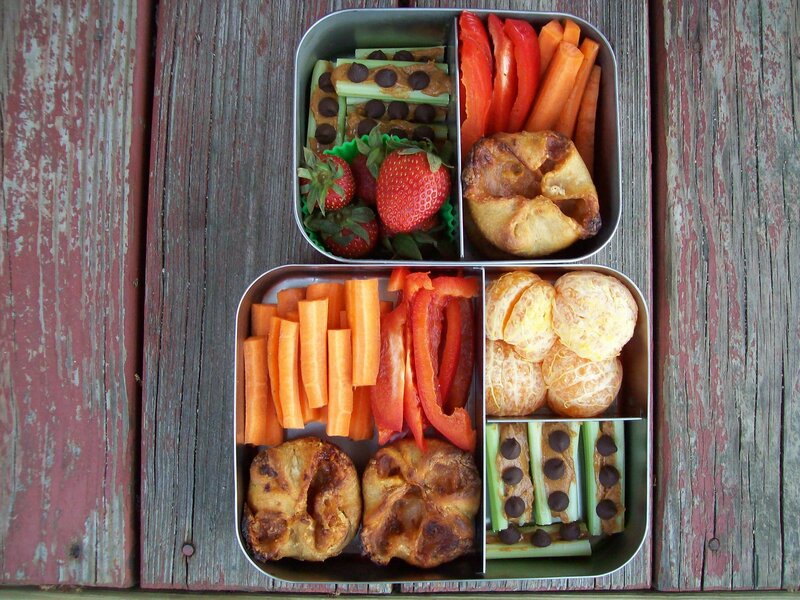 What a way to pack breakfast for lunch. 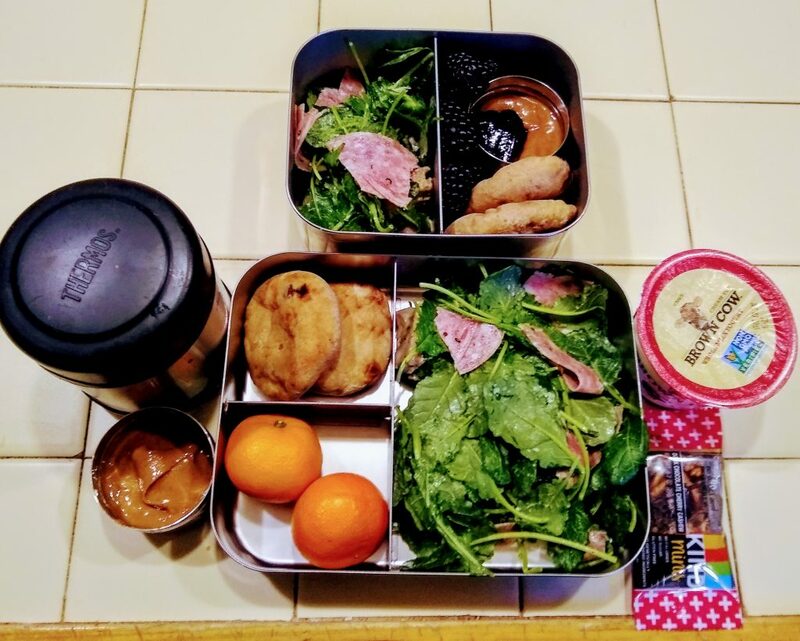 I’m pretty sure that people follow my lunch packing because they like the inspiration, but also that there are plenty of you out there going “My kid would NOT eat that” at least half the time. 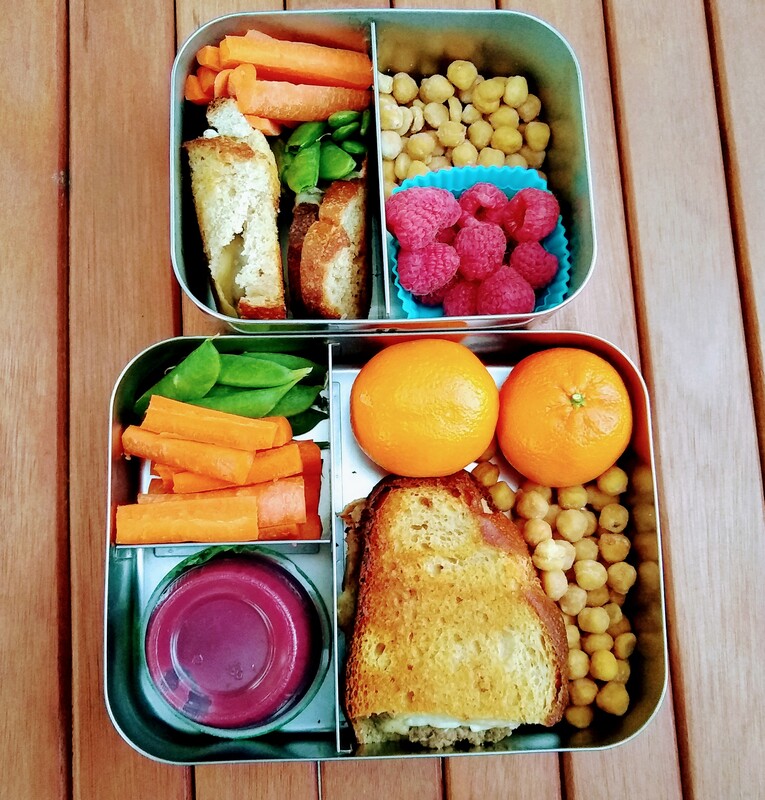 When I see a lunchbox like this one take top honors, I figure it’s because it’s so basic — yet appetizing — that you’re thinking “YES! 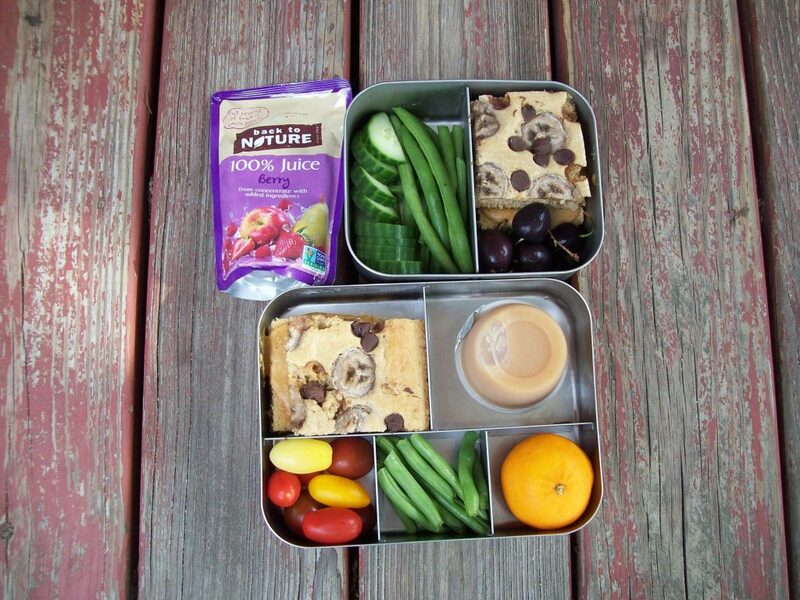 My kid would TOTALLY eat that!” Also, I think you gave me extra credit for the little homemade nutty granola bars. 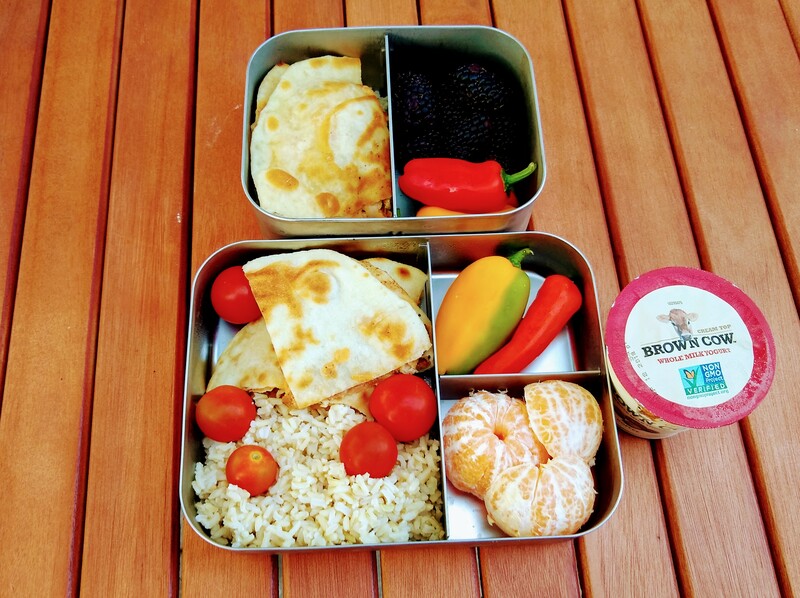 Yeah, I’m going to come right out and say that I love this lunch, too. Sometimes simple is best, and it doesn’t get more simple (or tastier) than good ham and good butter on really good bread. 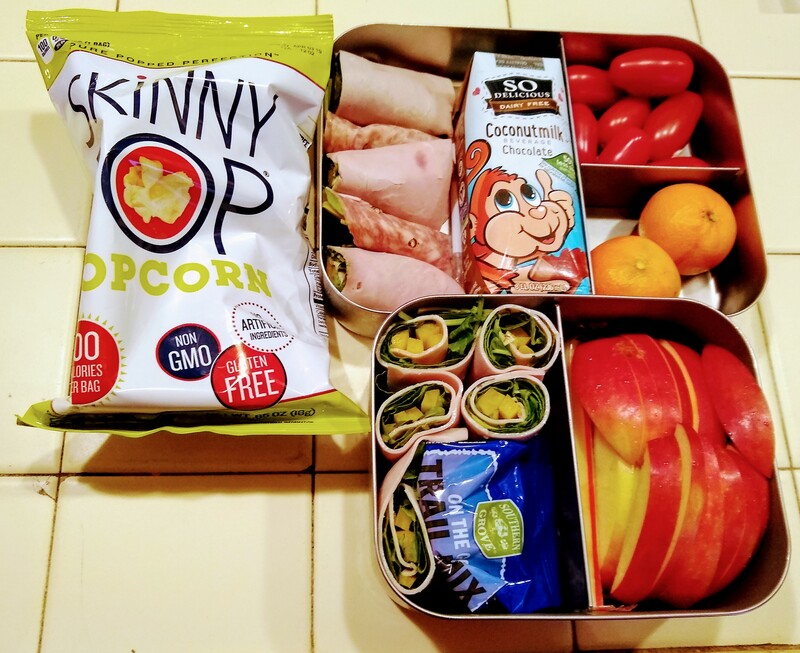 I don’t think I have ever managed to post a lunch roundup without a rollup included. 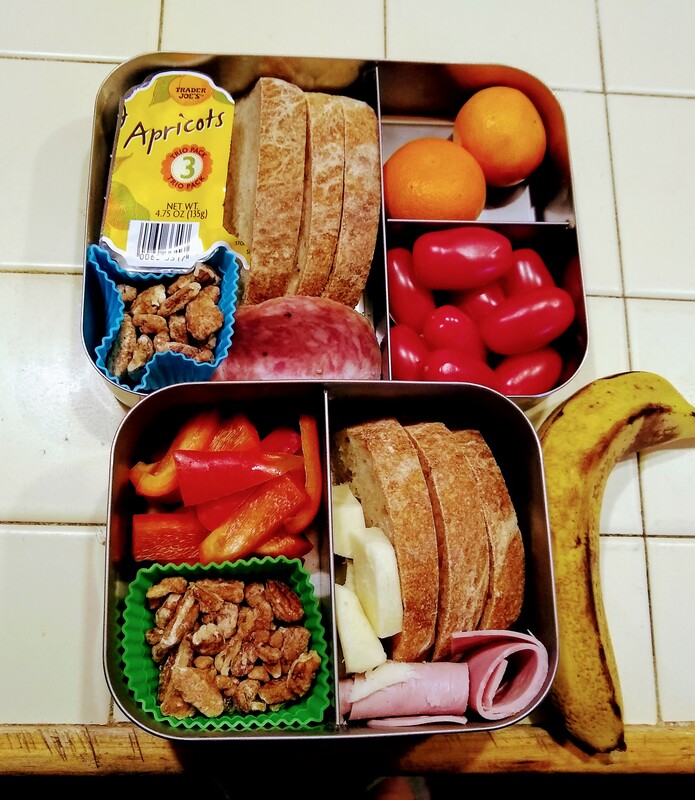 RRG readers really, really like this concept: Rolling thinly sliced deli meats around sliced vegetables to make a sort of lunchmeat “sushi” idea. It’s easy, fun and poppable…I guess what’s not to like? 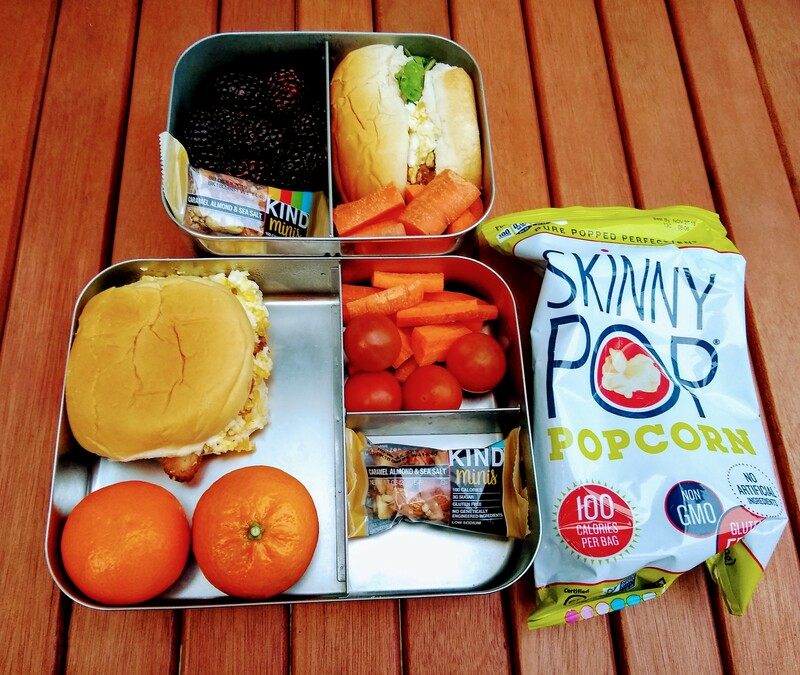 No idea, people…other than the law of lunch-packing averages, which states that out of every roundup of favorite posts, at least 2 “snacky” lunches will make an appearance. These two happened to be tied, but since they’re the same basic idea, I’m rolling them together into the #5 spot. 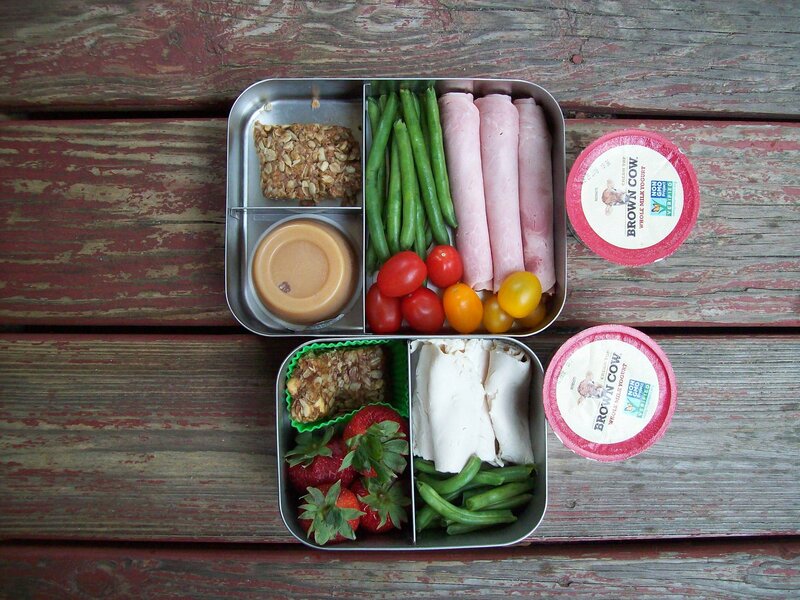 You really, really like it when I throw together a little of this and a little of that and call it lunch. Come to think of it, so do my kids. I blew your minds — and my kids’ — with these “quesadillas” stuffed with peanut butter, bananas and a few dark chocolate chips. They’re not an everyday lunch choice but I don’t mind pulling this one out every once in a while. After all, what’s life without a little chocolate now and then? Discounting P.’s chicken quesadilla on top here — which was basically a repeat of the day before, because that boy loves his quesadillas — the comments on this lunch were all about L.’s chicken cutlets and noodles. The number of adults commenting “I’d like that lunch!” tells me all I need to know. Comfort food for the win. It might be that you threw this one a lot of “likes” because you were excited for me that the kids were going back to school. 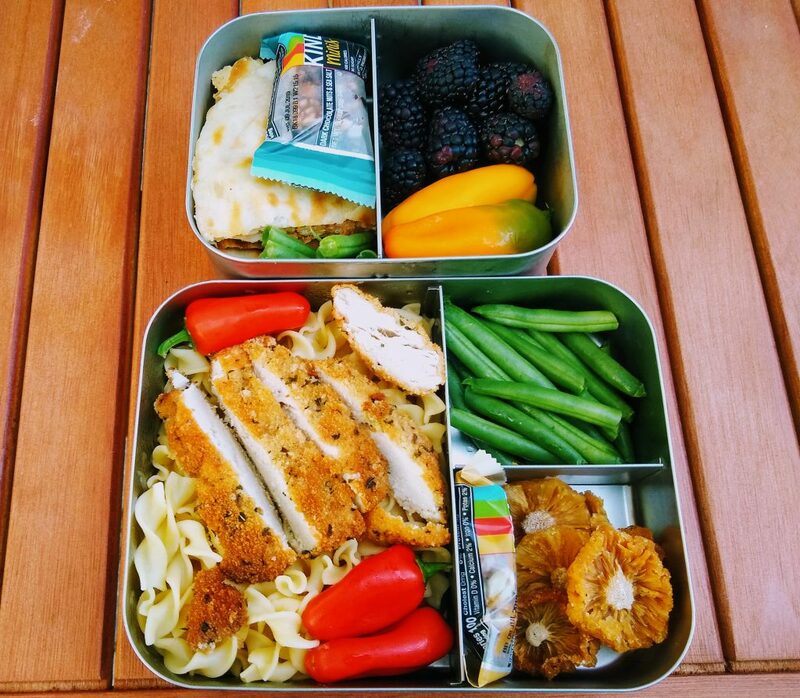 It also might be that you thought chicken quesadillas were a pretty rocking great lunch, in which case, I — and my kids — wholeheartedly agree. 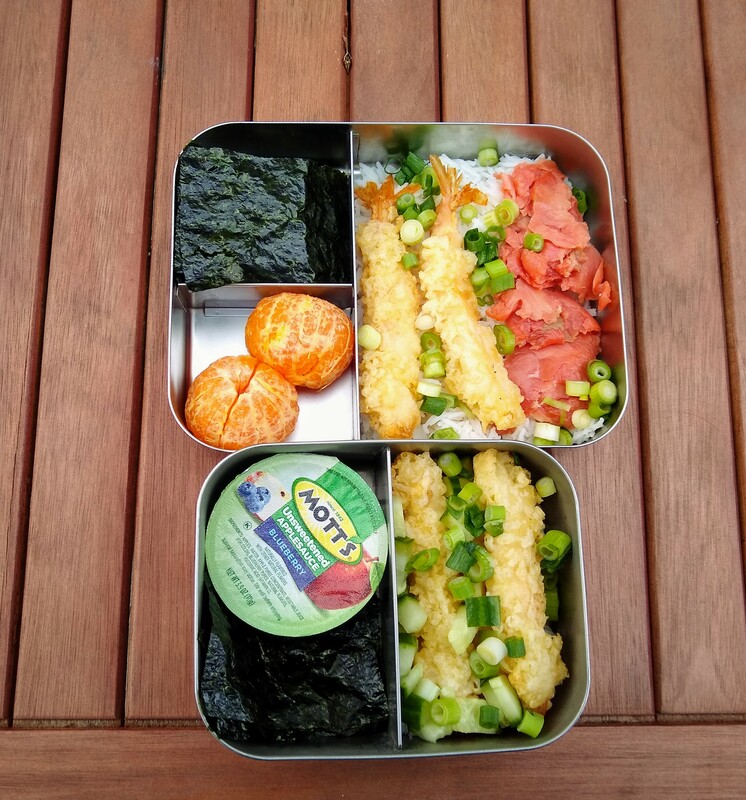 RRG readers really liked this shrimp tempura sushi bowl concept, and the good news is, this is a really easy one to replicate despite its fanciness. I took a total shortcut and used frozen prepared shrimp tempura from Whole Foods or Trader Joe’s (can’t remember which — I’ve gotten them both places). That’s the roundup, folks! 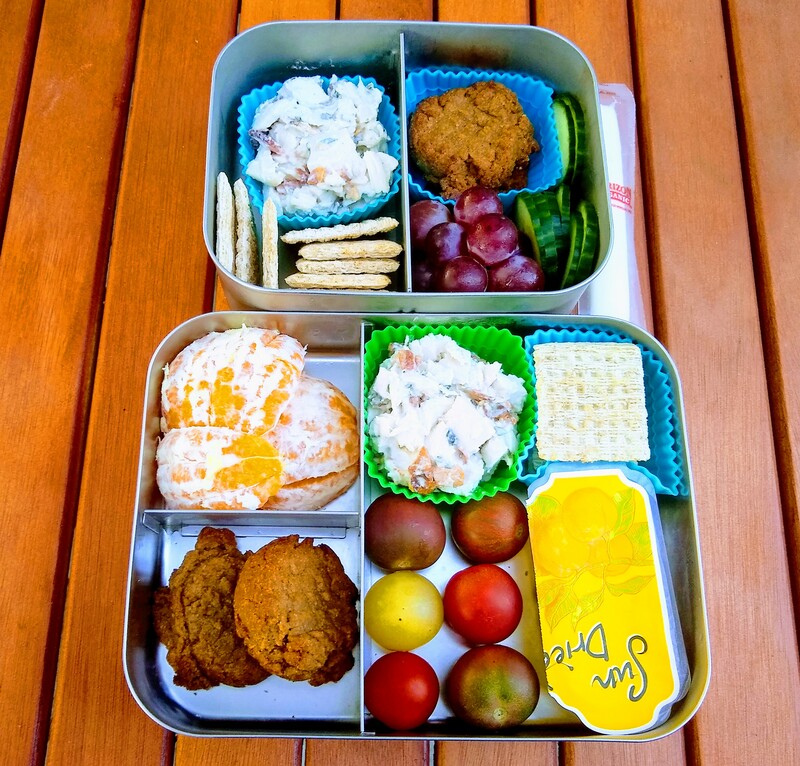 Thanks for another great year of lunch-packing!